Merrion Square goes French this Saturday the 11th of October! Ketty Elisabeth, aka French Foodie in Dublin, brings us a taste of France in the heart of Georgian Dublin. Head to the Royal Society of Antiquaries of Ireland at No. 63 Merrion Square to discover the best French food on your Dublin doorstep. Visitors can stock up on tasty French treats such as wonderful breads, cakes, macarons, chocolates, charcuterie, cheese and many other products. 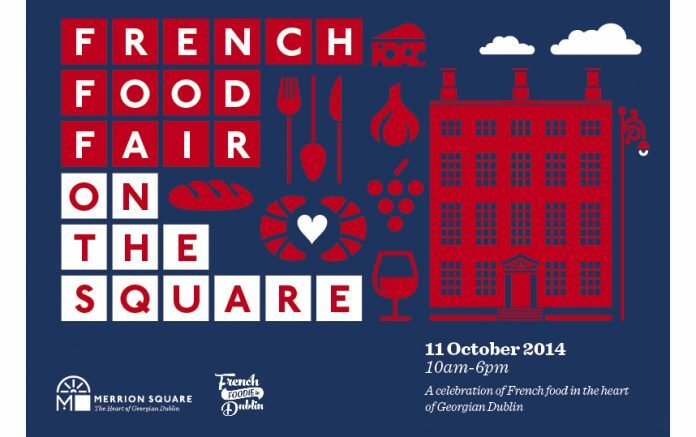 We’ll be able to meet Irish-based French food producers and enjoy a taste of France, right here in Dublin! There will be talks and tastings throughout the day to tease the tastebuds. Learn the secrets of chocolate making and why cheese is both a passion and an art. At the end of the afternoon there’ll be a screening of the wonderful French film “Chocolat” in the theatre at No. 63, an excellent way to finish the gourmet experience. Tickets for the movie “Chocolat” are available through www.frenchfoodieindublin.com. For more information, visit www.merrionsquare.ie. Previous articleWonky veg now available at Tesco!